The cryptocurrency market is currently in a nosedive. Many people who excitedly jumped on the bandwagon in late 2017 are now wondering whether they’ve been scammed. All the talk that the technology is crucial and vital for the future has seemingly gone out the window. Many people have sold their holdings at a significant loss. This is not the first bear market in the crypto world — some consider this to be the 3rd bear market, while some say it’s the 4th. What is certain is that this devaluation we see in the market is not new. Bear markets are part of every economic cycle. All markets experience periods where consumers’ faith in the future of the market is weak, causing prices to drop. However, strong and powerful companies are said to be created in bear markets. Companies that are created in a bear market are usually strong enough to go through all the other phases of the economic cycle. This is why people with experience in the rise and fall of crypto ecosystems advise projects that this is the time to build and develop. The majority of people who got into cryptocurrencies in 2017 were excited because they saw its growing trend as a way to make more money in fiat. While the long-term growth potential remains unchanged due to the fundamental principles of the blockchain, short-term market action is based on the buying and selling of cryptocurrencies. For the crypto industry to come out stronger after this bear market, there is a necessity to fundamentally build and develop the ecosystem on all fronts. But this cannot be achieved when many people in crypto don’t really completely understand what they are invested in. Various books have been written about Bitcoin and cryptocurrencies that discuss in detail the potential of cryptocurrencies and blockchain technology. These are books that do not focus on short-term hype or FUD, but instead on the stable effect of this financial revolution and what the future might look like. This is the best time to learn about Bitcoin and cryptocurrencies if you don’t know much about the industry and have just been buying in for the sake of making money. 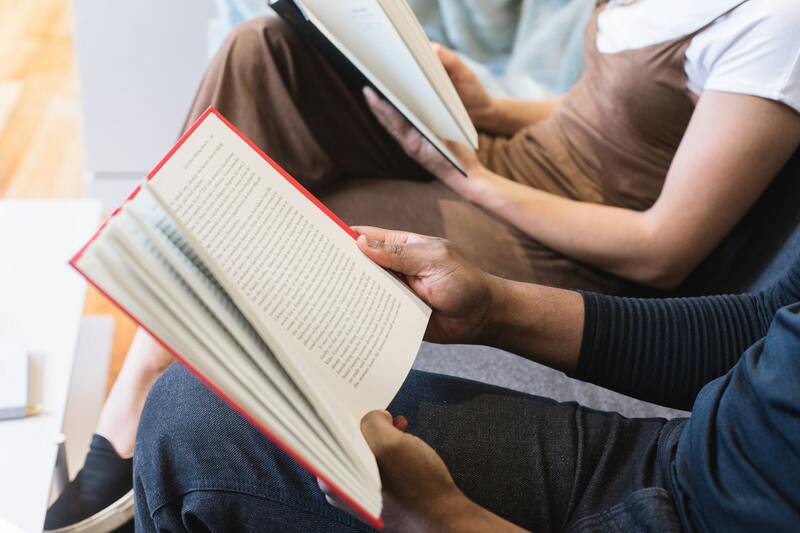 These 7 books will help you to understand Bitcoin, blockchain technology, and the financial system they build in a way that you perhaps you have not before. Here are our recommended books, listed in a suggested order that would make an interesting reading experience. 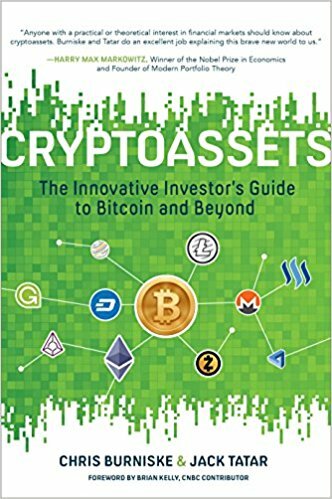 This is the perfect book to begin your adventure into understanding the fundamentals of the crypto industry. The first cryptocurrency was Bitcoin, created by an unknown person under the pseudonym Satoshi Nakamoto. While the name sounds kind of mysterious now, this book unveils Nakamoto’s conversations with those who were involved with Bitcoin in the early days. This book takes you to the very beginnings of the creation of Bitcoin, the events that transpired in the early days, and the conversations that started the blockchain revolution. Perhaps you have heard about Mt. Gox, Silk Road, or names like Charlie Shrem, Erik Voorhees, and Gavin Andresen, but you don’t really know who they are or the roles they’ve played in the industry. This will get you up to speed so that whenever a historical event about blockchain is mentioned, you won’t be in the dark. 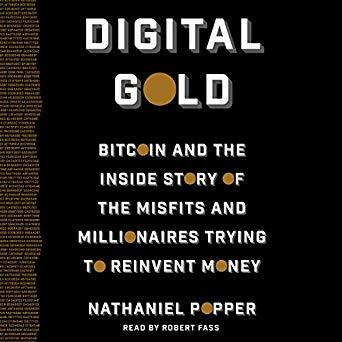 Digital Gold was written by Nathaniel Popper, a New York Times reporter who got access to conversations and communications that transpired in the creation and early development of Bitcoin. This is an important book to read for every person sincerely interested in crypto to understand the history of the industry. It will most definitely create a renewed sense of appreciation for the effort and insight that created Bitcoin and blockchain out of nothing. After understanding the history of Bitcoin and the players that brought the current level of adoption into existence, it is important to understand the basic fundamentals of blockchain technology. 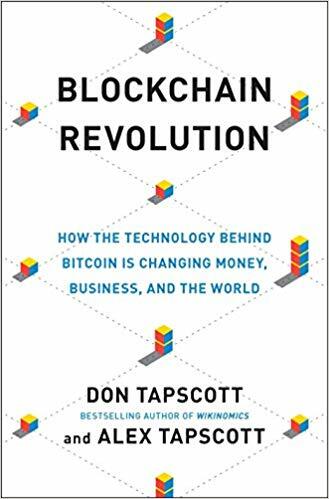 This book was written by renowned management and business strategist Don Tapscott and his son Alex, exploring the reality and future possibilities that the blockchain technology has to offer. 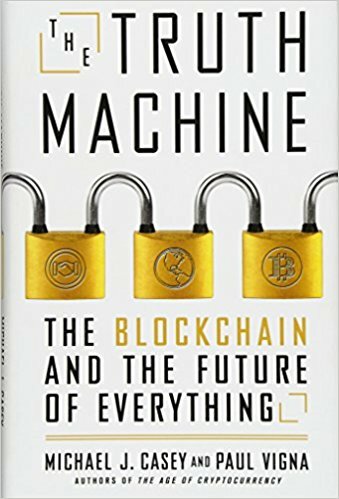 This book goes a little bit into the technical aspects of explanations, giving examples and illustrations of how blockchain technology actually works. It cites various projects currently under development in the blockchain world and shows the real-world implication of some of the projects. Blockchain Revolution is a book that explores the disruptive capabilities of blockchain technology. It shows that blockchain isn’t just about reinventing money, but also about molding the future of transactions. After getting a grasp of the disruptive capabilities of the blockchain and an analytical breakdown of how it works, there may still be some areas of confusion or areas where a simple explanation is required. 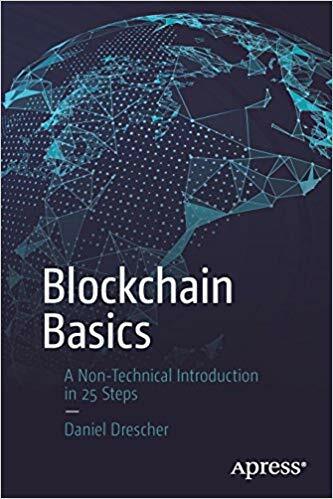 This book explains the basic technical details as to how blockchain works. No prior knowledge of programming is required because the book teaches in a non-technical fashion. Blockchain Basics is a book that takes you into the conceptual details of blockchain, using pictures, analogies, and illustrations that render these concepts easy to understand. The book introduces blockchain in 25 steps, layer after layer, to bring about a concise understanding to the reader. With the information in these first 3 books, a reader is sure to graduate from a newbie or beginner status in the crypto industry. This is a case for Bitcoin from the purview of an economist. Saifedean Ammous considers the history of money along with the different solutions mankind has come up with to carry out financial transactions. The contexts of economic growth, trade, culture, and international peace are discussed. Then the author introduces the idea of Bitcoin and how it meets the current challenge of the financial system. The argument here is about Bitcoin becoming a store of value instead of just another currency. In order words, it could be an alternative to gold and not just the U.S. dollar. This perspective of Bitcoin is important, as it gives readers the underlying understanding about how money works, how the world got to where it is, and how the future will likely be shaped with the advent of Bitcoin. 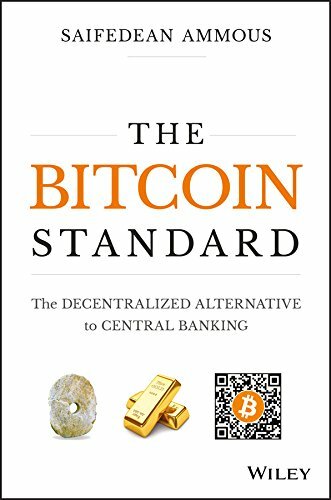 The Bitcoin Standard is required reading within the Bitcoin community and there are many who firmly believe in the future projections explored in the book. This book dwells on the role blockchain technology plays in leading the world into the future. It doesn’t focus on Bitcoin, but on the outlook of the world from the blockchain prism, particularly the issue of privacy in the world today. Blockchain as a system could fix the issue of reliance on big institutions to keep consumer data safe. The Truth Machine explains and expatiates on blockchain’s benefits to society. These benefits range from control over data and privacy, financial inclusion without barriers, and restoration of a healthy balance of power that’s fairly distributed throughout society. The information from this book underscores the good that blockchain has the potential to do, and is already doing. After reading about ideological arguments and discourse, it’s important to get some practical insights into investing in cryptocurrency. This book contains some fundamental views on cryptocurrencies that are very informative for an investor in the industry. While big moves and wild price swings are common occurrences, influenced by rumors and breaking news, some information is basic to making wise investment decisions in the crypto space. Cryptoassets focuses on the long-term approach to investing and makes the reader aware of the different aspects that make a crypto project successful. It emphasizes principles like dollar-cost averaging and how they can be applied to cryptocurrencies. It also explores the impact of regulations, volatility, utility, speculation, and more, as well as talking about ICOs and other investment methods. This is the last on this list, but definitely not the least. Mastering Bitcoin is one of the most important books about Bitcoin out there. 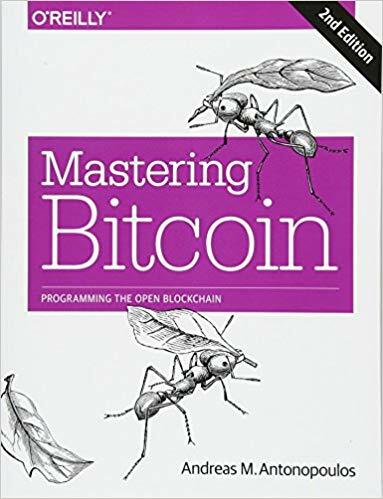 The reason it is last on this list is because it is for programmers and developers — this is a book that dives into the technical details of programming the blockchain. While people unfamiliar with programming will likely not understand many things in the book, it’s still worth a read. Mastering Bitcoin does not just express the current state of the Bitcoin network, architecture, and protocol, it also goes forward to express knowledge on new developments such as the Lightning Network. The book is authored by Andreas M. Antonopoulos, who is a well-known figure in the blockchain community. His talks and thoughts have shaped blockchain technology and the influenced the community in many ways. Bitcoin and cryptocurrencies are here to stay. While today the crypto market is primarily affected by speculation, the fundamentals remain strong and the potential is evident for all to see. The books listed here will calm any speculative fears based on the current events around crypto, and keep you focused on what really matters in the long term. The blockchain revolution is not going to take place overnight; there will be bulls and bears, but if you arm yourself with knowledge, you won’t fall prey to the circumstantial events. This is a solid article and well put together. I completely enjoyed it and will recommend it. If you are an Amazon affiliate, please send me your affiliate link for these books so that should I buy one you will receive the proper financial remuneration. I would recommend creating a link to these books on Amazon so it would be easier for readers to purchase and you can also get paid for sending them to Amazon to purchase.